In the field, the operator can check the temperature and alarm status on the DX's display with a high degree of visibility. 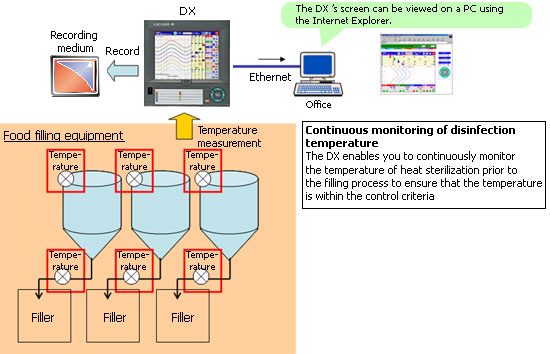 The operator can monitor the DX's data remotely using the Internet Explorer on a PC connected to the network. The DX can record data continuously over a prolonged period for easy data management. - The recorder stores data in an external storage medium. - Data can be transferred to a server with FTP.